The Tesla Model 3, by all accounts, is a pretty great car. The only thing that could make it better — outside of it constantly improving through software updates, which already happens — is if it could be free. Well, if you are willing to make certain sacrifices and take some risks, that is apparently possible. Our proof is the video above. In it, our friend Sean Mitchell interviews a Model 3 owner and former co-worker, Carissa, about her experience with her car over the past six months and 20,000 miles. Already an interesting watch as she details her ownership experience from standing in line to her day-to-day usage and impressions, our ears could hardly believe her results from offering the mid-size sedan on Turo, a car-sharing platform. Her car, which, by the way, is named Death Star and has the personalized plate to prove it, finds itself in the loving embrace of strangers for seven to ten days a month. By making that sacrifice, it brings in enough money to not only make the payments but also cover the insurance costs. Turns out that Carissa hasn't actually had to make a payment since it first arrived. How awesome is that? Now, there are some caveats to keep in mind about placing your car with a sharing service, and our interviewee has no qualms about sharing the secrets of her success. Pricing, we learn, is important, as is good photos. She also shares that all four of her wheels have been scraped up from less-than-professional parking. 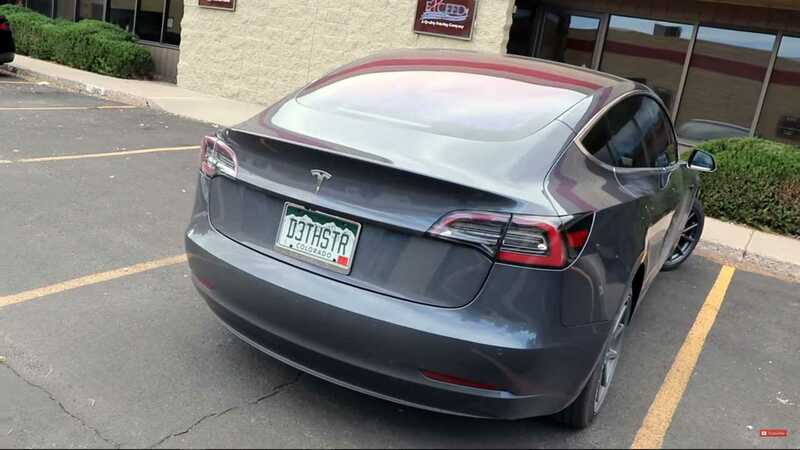 For some, the trade-off may be too much, but we suspect other owners, especially those who live in areas where a sighting of the "affordable" Tesla may be less than a common occurrence, this could be a great arrangement. And who knows, like Carissa's car, your pride and joy could be used to set a world record and achieve fame and glory!